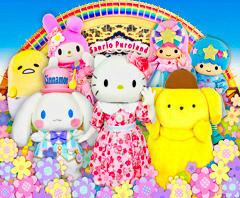 Sanrio Puroland is a theme park dedicated to Hello Kitty and the world of Sanrio Characters. Please present the E-ticket to redeem the physical ticket for entry. *Please check the Opening hours here prior to place an online order. *2 years and under is free of charge.